Gameday is approaching and you’re looking for a reliable, efficient solution to transport your team, coaches, and training staff. You’re considering using a charter bus because you’ve got a sizeable group of people you need to move, but aren’t sure which company you can trust. Your search stops here. 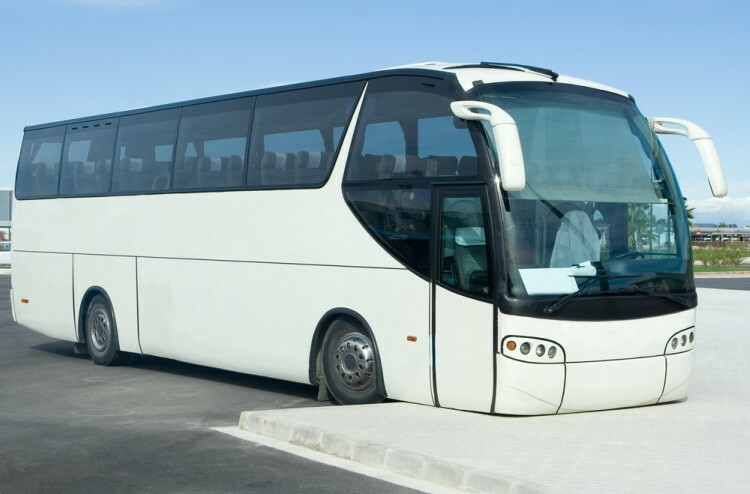 New York City Charter Bus Company is fully equipped with industry-leading transportation solutions to quickly and safely transport your team to and from the competition. No matter how big your team is or how far they need to go, we’re ready and waiting to give you the service you need. Call us today at 917-388-9602 so we can book the perfect bus for your team’s needs. Your team likely has a ton of supplies to bring on the road for each game. While finding a way to transport these items may have been an issue in the past, we make it easy to securely pack and move all of your items. When you reserve a motorcoach with us, you are able to request overhead cabins and luggage bays, giving you ample room to store your supplies. Now, you can pack helmets, pads, uniforms, training supplies, tape, balls--and anything else you need--easier than ever before. Motorcoaches booked within our network are perfectly sized to fit all of your team members, coaches, and staff. We understand that whether you’ve got a full football roster or a small basketball team, you need a safe, reliable solution that can fully accommodate your team. With access to a variety of coaches ranging from 56-passenger charter buses to 18-passenger minibuses, we make sure you’ll never have to worry about how your team is getting to the game again. Half of your team’s season is spent on the road. With all of the places you’re headed this season, it’s only fair that you get to check out some of the scenery too. When you arrive at your destination city, go beyond the limits of the sports venue. Stop by your hotel, then ask your driver to take you on a tour of the town, visit a local restaurant, or check out a local shopping center. Nothing is off limits when you have your own personal charter bus and driver. Performance on gameday is tied to preparation in the days leading up to it. While this primarily revolves around studying plays and learning your opponent’s tendencies, it also includes staying loose and keeping a clear head. We do our part to help your team maintain this balance by giving you the option to book premium buses with exclusive amenities, such as reclining seats, WiFi, flat-screen TVs, DVD players, lavatories, and surround sound systems. For larger athletes, you can even request added legroom to ensure that your players, coaches, and staff all arrive relaxed and ready to go. You don’t have to be an athlete or coach to reserve a bus. Loyal fans and family members of athletes can also book affordable buses to follow their team. Your support doesn’t have to be limited to home games and TV. Book a bus for your team’s next away game, and request additional storage room so you can bring your favorite tailgating items. Turn gameday into the perfect family weekend by booking a private motorcoach today. New York Charter Bus Company makes it easier than ever to manage gameday travel. With access to hundreds of industry-leading motorcoaches and drivers throughout New York City, we’ve just made it that much easier for your team to secure a win. Call our 24/7 support staff at 917-388-9602 for a free quote today.